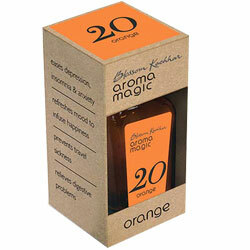 Aromamagic Orange Oil - Eases depression, insomnia & anxiety, refrshes mood to infuse happiness. Eases depression, insomnia, and anxiety. Refrshes mood to infuse happines.